We created a virtual band which was premiered in our Informance on December 16, 2014 We are still accepting participants! Please join this celebration and follow the instructions below. To see the debut collaboration go to this link! Scroll down to the bottom of the link and you will see comments from visitors and invitations to participate. “Voices of Music” featured a variety of music paired with multi-media demonstrations and audience participation. The highlight of the program was a social awareness presentation of Eric Whitacre’s music composition, “Seal Lullaby”. 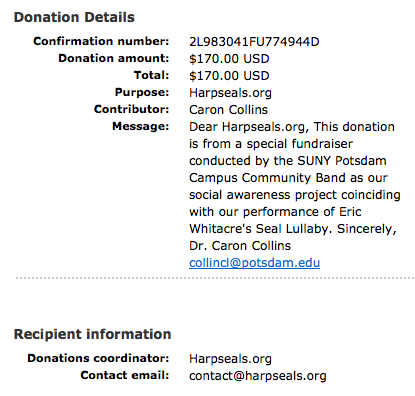 Donations totaling $170 was collected for Harpseals.org, a non-profit organization to stop the massacre of baby seals. A drawing for a pair of handcrafted toy seals by “Em Bears” was awarded to Jim Corbett. Erica is a graduate of Long Beach H.S. 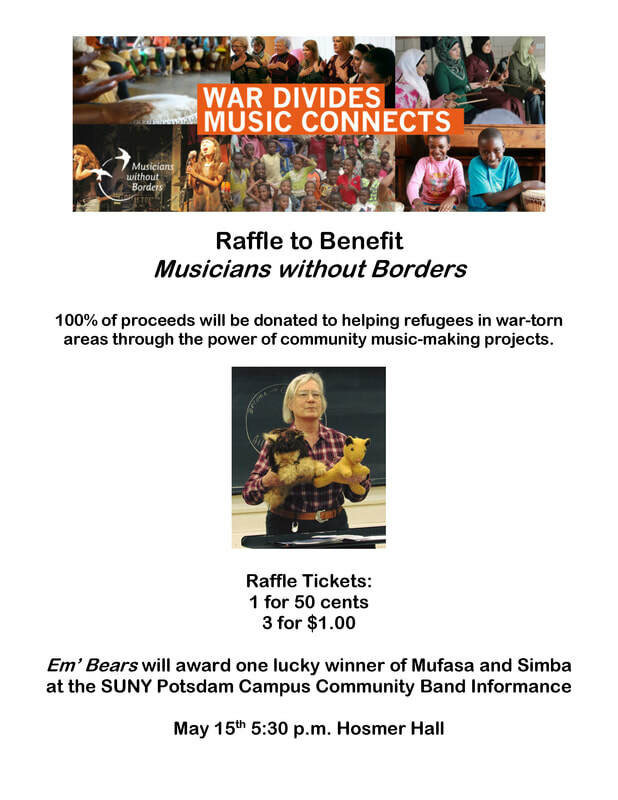 and member of our Campus Community Band. Our concert raised funds to help Long Beach H.S. Marching Band purchase uniforms that were destroyed by Hurricane Sandy.